Jacki Costello (administrator), Mary Robinson, Therese Ruane (MIA coordinator) and Bridget Breen (Project Worker). 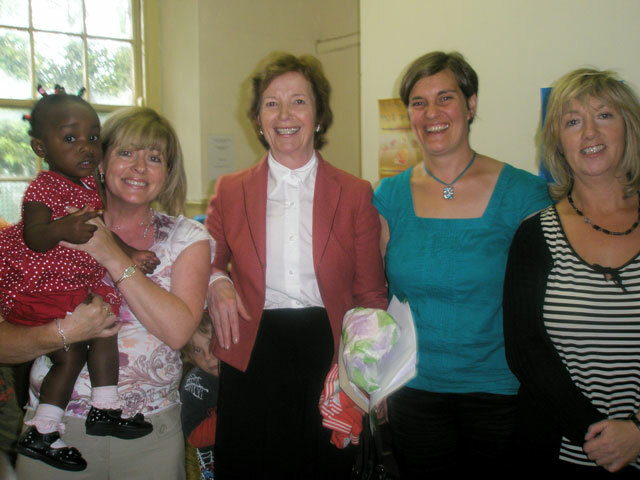 Mary Robinson took some time out from her holidays to pay a private visit to Mayo Intercultural Action (MIA) on Monday 7 July last. She met with representatives from the immigrant population in Mayo. This included Asylum seekers, refugees and migrants who are active and show leadership in their communities. The MIA Intercultural Singing Group entertained Mary during her visit to Mayo Intercultural Action. Mary Robinson, ex-president of Ireland and the former, United Nations High Commissioner for Human Rights (1997 to 2002). In 2002, she founded and currently heads up the New York based, Realizing Rights, Ethical Globalisation Initiative whose mission is to put human rights standards at the heart of global governance and policy-making and to ensure that the needs of the poorest and most vulnerable are addressed on the global stage. 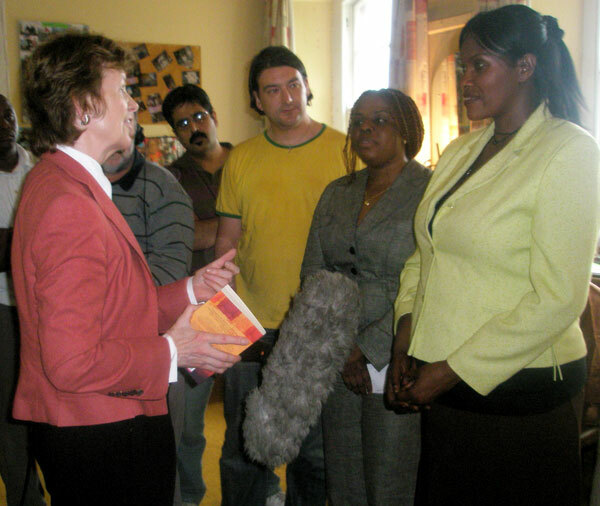 Mary Robinson meets Grace, an asylum seeker living in Mayo.